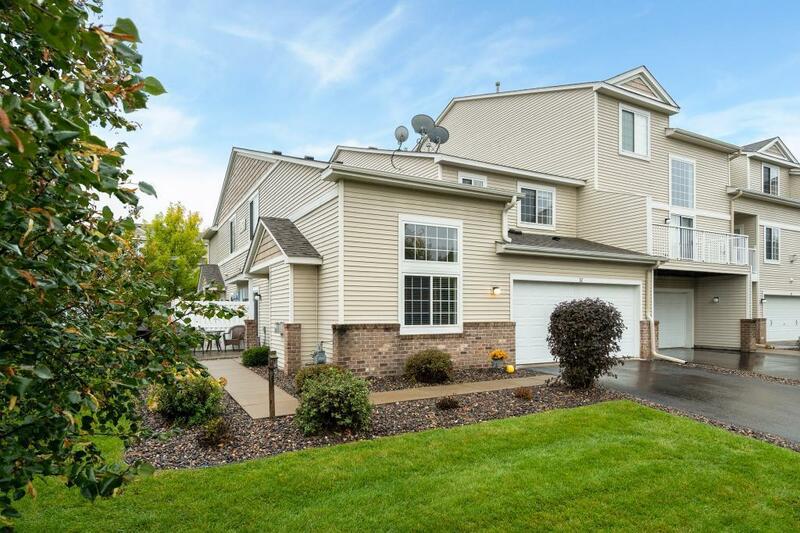 14730 Cobalt Street NW #32, Ramsey, MN.| MLS# 5011392 | Casey Zimmerman | Greater Midwest Realty | 763-753-3593 | Your Premier Real Estate Company for Handling North Metro and the Surrounding Areas Minnesota Homes for Sale. This gorgeous end unit town house is the one that you've been looking for! The main floor features a large kitchen with tons of counter space, a breakfast bar, powder room and large family room with a beautiful stone fireplace. The 2nd floor has all the space you need with 2 large bedrooms, including a large master suite with a walk-in closet, 2 bathrooms and a built-in desk in the loft. You'll easily be able to enjoy time outside on the cozy patio and in the large side yard.